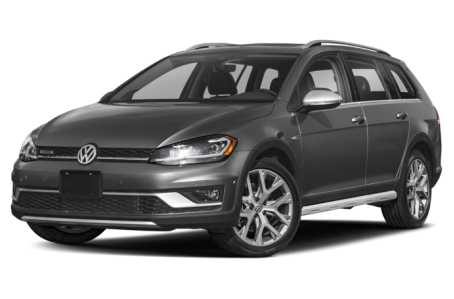 The 2018 Volkswagen Golf Alltrack is the high-performance version of the Gold SportWagen. It competes with the Subaru Outback in vehicle segment that blurs the line between wagons and crossovers. Under the hood, the Golf Alltrack is powered by a standard 170-hp, turbocharged 1.8-liter four-cylinder engine mated to a six-speed dual-clutch automatic or manual transmission and 4MOTION all-wheel drive. The available Drive Mode Select includes an Off-Road Mode for optimized traction control. Fuel economy for the Golf Alltrack is an EPA-estimated 22/30 mpg city/highway.